We are one of the most reputed ISO 9001 Certified professional organization in Pakistan Today we have become one of the largest HVAC-Mechanical-Electrical firm of the country with human resource strength of over 850 employees being led by a group of professional and experienced personnel. Mecatech has been successfully increasing and maintaining a portfolio of large number of satisfied customers throughout Pakistan. 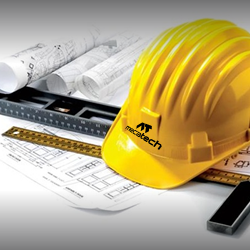 With over 15 years’ of experience Mecatech’s Project department has served as a backbone in company’s success. It is the success of our project execution team that MPL stands as a market leader in the design, manufacture and installation of multi-service modules, incorporating pipework, duct work, electrical and complete HVAC systems. From design to supply and installation we surpass in quality, technical support, and cost control to deliver best practice solutions by continually implementing proven technologies and innovations throughout all aspects of our services. Our project execution department provides solutions to our clients incorporating all the environmental regulations and quality standards. We specialize in the management of the contracting trades and provide the experience, expertise, knowledge, & work ethic necessary to make sure all our construction projects come in on time and within budget. Mecatech projects department provides contracting services for all Civil, Mechanical, Electrical& Plumbing works in projects. It includes bids preparation, planning & execution of works and time frame planning. A qualified, knowledgeable, proficient& educated staff is positioned to accomplish each job. 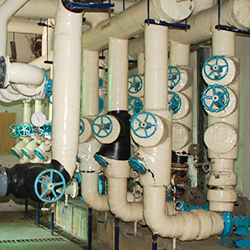 Every project begins with analyzing the facility and MEP systems within it. The information we gather from the evaluation allows us to put together a strategic plan that will not only be cost effective but time efficient as well. MPL has a dedicated team of engineers, designers and draftsmen working together under one roof to produce state of the art CAD drawings. These drawings include development of design drawings, shop drawings, RCPS, CCPS and 3D modelling designs. From primary stage to the completion of project our design team use modern soft wares to help eliminate any probable complications in the overall design of MEP services. From initial concept of completion, experience in the managerial and technological aspects of the construction industry is paramount. We pride ourselves in maintaining a high level of standards while preventing any loss of time and productivity. Each project is handed over to our highly qualified and dedicated project manger and his project team.From design to commissioning and handover the project manager and his team works to certify that the project is delivered on time and according to the required specifications. MPL has the pride to be the only MEP service provider in the country, which maintains a ready stock of all the installation material in its central warehouse situated in Lahore. The purpose of maintaining this mammoth stock is that in any given circumstances our project team and our respectable client don’t face problems due to shortage of material. MPL project team promises to accomplish its target within the given time frame maintaining the international quality standards.For that purpose we maintain a fully functional team of quality inspectors who ensure that every client’s project reflects the highest quality and adheres to all necessary quality standards. Complete civil and building works, MEP, HVAC, electrical and controls installations are undertaken under one contract by our team. A fully functional project team along with complete scrutiny from the regional and head offices ensure that no stone is left unturned to deliver the best. Once the installation works are complete, a team of specialist engineers, which have been trained abroad by our respective principals, commissions the complete HVAC system.